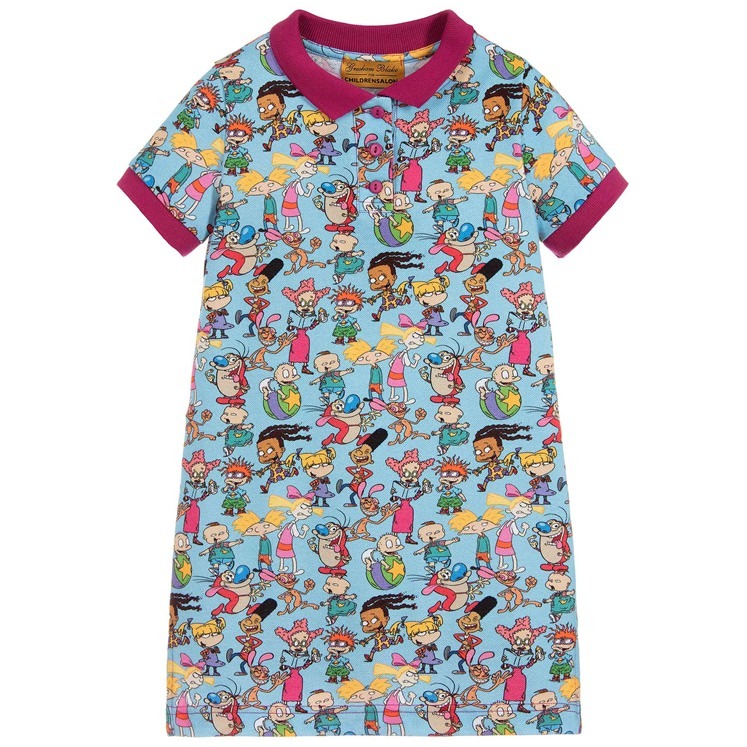 Girls cotton piqué polo dress in blue with contrasting collar and cuff in fuchsia. 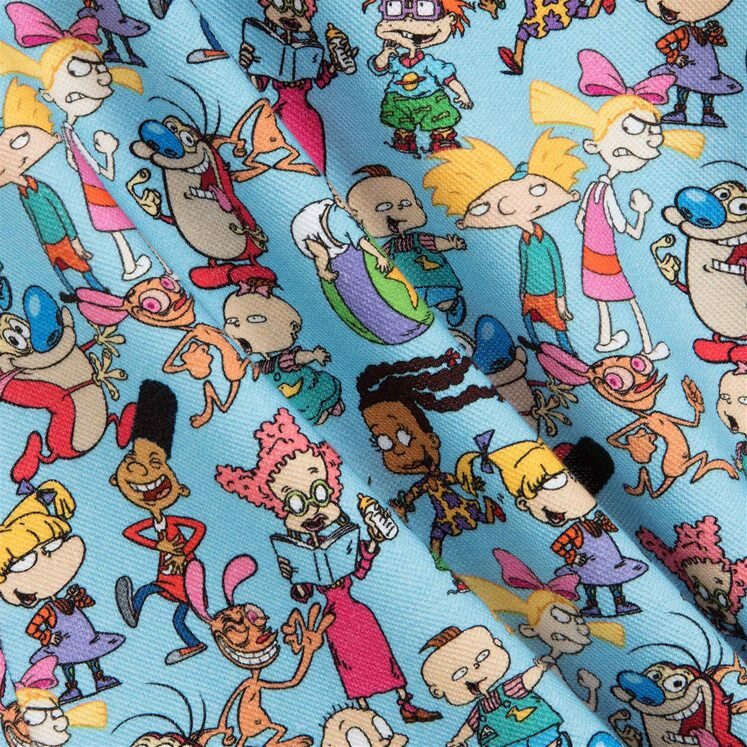 Adorned with all your favourite characters from cult Nick 90's cartoons, including The Rugrats, Ren and Stimpy and Hey Arnold. 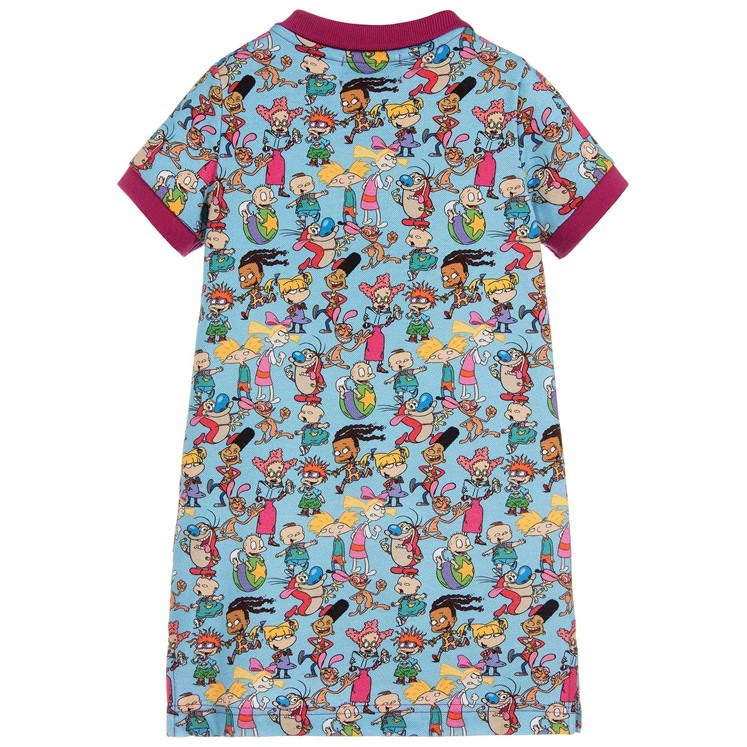 This girls dress has been designed by Gresham Blake in collaboration with Nickelodeon and Childrensalon.